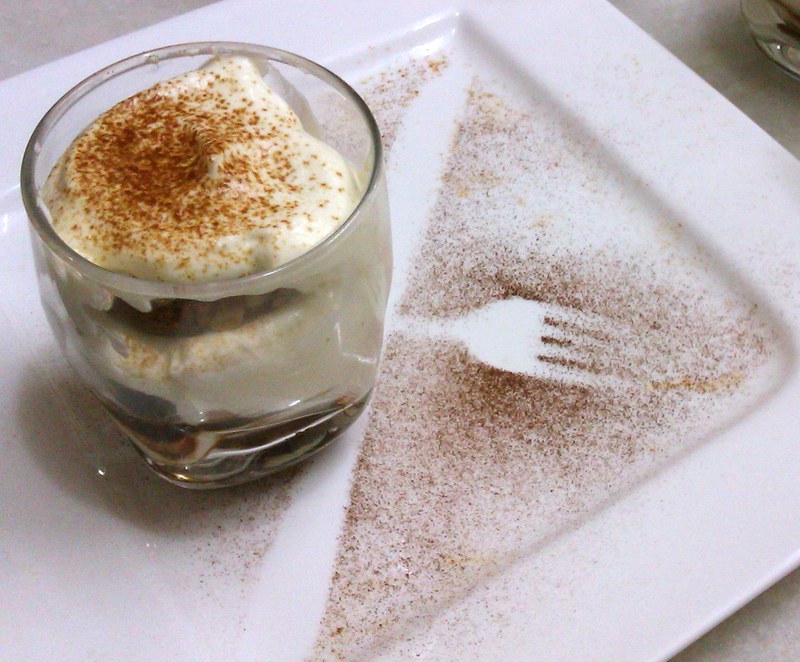 Foodmantra: 4 Steps to Making Tiramisu with Homemade Cheese! This is my version of the classic Italian dessert, made with ingredients that are easily available in the Indian supermarket. Don’t you feel disappointed when the Chef on TV shows us how to make those amazing desserts, cause you can’t actually make them? Take Tiramisu for example, in India, mascarpone cheese or Lady fingers (Savioardini Biscuits) are not easily available. Even if you do manage to find mascarpone cheese in one corner of the city, it is expensive. 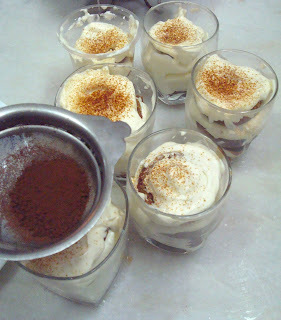 This is simple version of Tiramisu made with homemade cheese and other readily available ingredients. Heat 300ml Amul cream in a pan and add one tablespoon lemon juice to it. Stir, cook the cream for 2 minutes. Turn off the heat and put the cream onto a muslin cloth. Hang the curdled cream in the muslin cloth and let it stand for 30 minutes. This cheese will be used to make the Tiramisu. In an empty steel bowl add in the egg yolks and the sugar. Keep the steel bowl over the bowl full of warm water and whisk the mixture till is thick, dropping consistency. The mixture should coat a wooden spoon. Add in the homemade cheese and the cheese spread into the sabayon (egg mixture) and whisk for 2 minutes. Once the mixture is smooth, shiny and lump free, keep it aside. Note: Cheese spread helps you get that smooth, shiny texture and the right consistency for tiramisu. In small quantities, it does not disturb the taste of the dessert. Add in the egg whites into an empty steel bowl and whisk while holding over warm water until it starts forming soft peaks. Fold the eggs gently into the cheese mixture, mixing by ling the sides and folding in, so that you don’t lose the volume. Whip up the cream to medium peak and fold it into the mixture. Mix by ling the spatula along the sides and then folding it in. Note: Whipping cream (non dairy) available in supermarkets has a long shelf life. You can use a small account and freeze it for several months upto 1 year. Line the glass with a thick slice of chocolate cake. Sprinkle ½ teaspoon of the coffee mixture on it. Add in one big round spoonful of tiramisu mixture. Make 3 layers like that. The top layer should be a spoonful of tiramisu mixture. Even it on top with wet fingers. Put some cocoa powder with a pinch of coffee in a sieve, sprinkle lightly on the top layer. Superb Krytie!!! Going to make this soon. I do not have an electric whisk so whipping u pegg whites has always been a problem! Beat the egg over warm water. It forms a more stable foam.